Travelling to or from Greece? 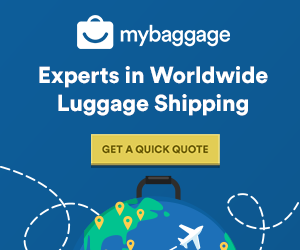 My Baggage offers super fast, convenient and affordable luggage shipping services, allowing you to travel luggage free. In years gone by, shipping unaccompanied baggage anywhere in the world used to prove to be an expensive and complicated nightmare. Thankfully, My Baggage offers a brand new approach, and takes all of the stress out of transporting your luggage to Greece. You can wave goodbye to expensive airline baggage fees and out-of-budget removals. My Baggage provides a low-cost and convenient door to door luggage collection and delivery service, helping you to save both time and money whilst you travel to Greece. Greece, known for its beaches, is a country located in southeastern Europe. It is referred to as the cradle of Western civilization, due to its influential status in ancient times, being the birthplace of democracy and more. Athens, its capital and largest city, retains ancient landmarks, including the 5th-century B.C. Acropolis citadel with the Parthenon temple. The prospect of living in Greece is appealing for many, and for good reason. It is a vibrant country that is world-renowned for its year-round good climate, rich history, stunning architecture and unique culture. They also have one of the lowest costs of living in the EU. To send a care-package to a loved one in Greece. My Baggage makes transporting unaccompanied baggage across the world an easy process. Whether you’re travelling to Greece to study abroad, to relocate with family or for work, to enjoy a holiday or otherwise; My Baggage’s generous weight allowance and the fact that you can send as many items as you like with us can come in particularly useful. Our convenient luggage shipping service allows you to bring many more possessions with you than if you were simply relying on a few checked pieces of luggage when flying. For this reason, My Baggage offers a welcomed, affordable alternative to airline baggage. As well, My Baggage offers a cost-effective alternative to traditional removals companies. All things considered, relocating to another country is an undeniably expensive process for many reasons. However, My Baggage allows you to cut your costs in one way, at least. For many people, it can be a much more affordable option to sell or donate most of their large, bulky items (such as furniture) and ship only their most essential belongings with us. Do your research on Greek quarantine and customs. When shipping from the UK to Greece or anywhere else in the EU, goods do not pass through customs clearance and therefore are not subject to import tax or duty. 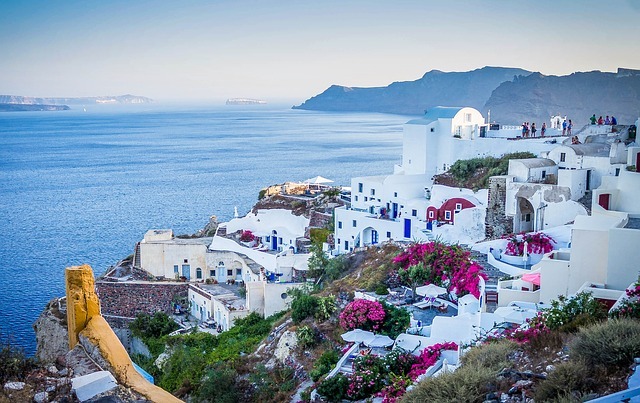 If, however, you’re sending to Greece from a country outside of the EU, such as the USA or Australia, you are then legally required to complete and attach a customs invoice to your shipment. Generally, My Baggage shipments clear customs in a timely manner, free from duties and taxes, as most countries offer a generous duty-free allowance for personal effects. However, as customs processes and allowances are different around the world, and because My Baggage has no control over any decisions made, we do advise doing your own personal research into Greek customs regulations and quarantine before booking your shipment to Greece. Please make yourself aware of potential customs duties in Greece and be sure to follow any and all advice provided by customs directly. When completing your customs documents, it is important to do so properly and clearly. In order to demonstrate that your shipment consists of personal effects, you will be required to accurately describe each item included in the package. For example, you would declare: “4 x t-shirts, 2 x pairs of jeans, 3 x dresses” etc, as opposed to “10x clothing”. My Baggage gives you the freedom to ship your personal belongings all over the world, meaning you can send almost everything you would typically find in a standard holiday suitcase. However, for security and customs reason, there are certain items which are prohibited and cannot be carried; as is standard with most shipping companies. 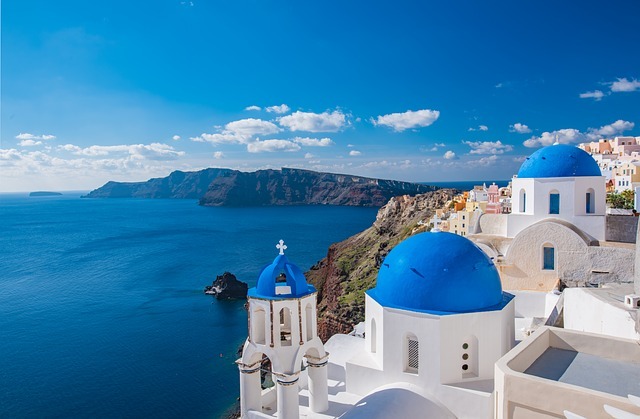 Please note that import allowances, security and customs processes differ all around the world; we recommend that you do your own personal research into what may be prohibited in your destination country before booking your shipment to Greece. When sending your belongings to Greece with My Baggage, we recommend using either suitcases or strong boxes to package your items so as they are suitable for transit. Our convenient door to door collection and delivery service makes the entire process effortless. You can arrange everything from the comfort of your own home. There’s no need to drop your items off at a drop-off point, nor will you have to collect them from a pick-up point at the other side. We collect and deliver straight to where they need to go. To give you peace of mind, My Baggage keeps you updated on the status of your shipment from the moment you place your booking, until the moment your luggage arrives safely with you. You will be given access to full online luggage tracking information, allowing you to monitor the progress of your shipment every single step of the way. If you happen to have any questions or concerns along the way, our dedicated support team will be on hand to help. Thanks to many years of experience in logistics, they are experts in shipping excess across the world. Contact us via phone, email or live chat.